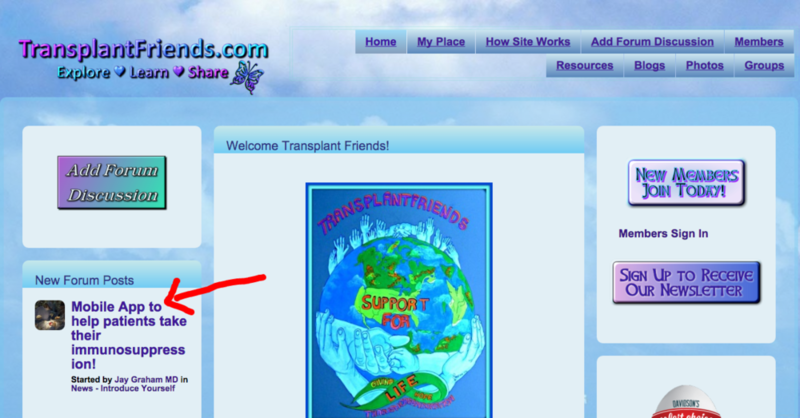 TransplantFriends.com is a vibrant community !!! Since joining Transplant Friends I have been deeply impressed by how vibrant and welcoming the community has been to Transplant Hero. Moreover, I am so happy that in a small way I could do my best to help! To this end, please keep the suggestions coming. Since the launch of Transplant Hero, I have learned so much and I feel so grateful to those that have offered suggestions through the "Forum Posts". In keeping with many of the comments, customization of the immunosuppression timing regimen will be a big part of the second iteration of Transplant Hero. Again, thanks for welcoming me into the family that is "Transplant Friends"!